We base our best camera phone list on two main factors: How good are their camera specs and how high they scored in various web-wide reviews. * To compare some of these phones, just select the compare box under the picture and click compare at the bottom of the list. The Huawei P20 Pro is a premium photography smartphone whose specs consist of a triple rear camera (40-, 20-, and 8-megapixel lenses), a 24-megapixel selfie camera, and a 6.1-inch 1080p OLED display. The Sony Xperia XA2 is an eight-core smartphone that leans heavily towards imaging and multimedia, with specs like a 23-megapixel UHD-video-recording rear camera, an 8-megapixel 120-degree-angle selfie cam, and a 3GB RAM at the ready. 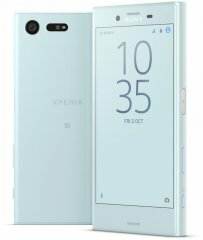 Introduced during CES 2018, the Sony Xperia XA2 Ultra is a photography-first 6-inch phablet whose key specs consist of a dual front camera (16- plus 8-megapixel cams), a 23-megapixel main cam that captures 4K-2160p videos, and 4GB of RAM. The 2018 Sony Xperia XA2 Plus is a high-end phablet banking heavily on specs like a 6GB RAM, a 23-megapixel rear camera, and a 6-inch 18:9 display furbished with a Gorilla Glass 5 panel. With its wide 7.2-inch display, the Huawei Mate 20 X is a high-class phablet whose specs include a triple rear camera (It has a 40-megapixel primary lens), a 24-megapixel selfie cam, and a 5000mAh battery pack. The Huawei Mate 20 Pro is a 2018-released smartphone boasting a bunch of flagship-caliber specs, such as a triple rear camera (40-, 20-, and 8-megapixel lenses), a tri-cluster 2.6GHz octa-core processor, and a 6.4-inch QHD+ (1440p) OLED screen. This high-end 4.6-inch Sony smartphone tilts heavily towards multimedia with its 23-megapixel rear-facing camera (triple image sensing technology), six-core CPU with 3GB of RAM, and up-to-256GB top-up support for its 32GB on-board memory. Made especially for digital photographers, the Ektra is a deca-core (2.3GHz Helio X20 processor) smartphone armed with an SLR-type haptic-touch camera setting dial, 21- and 13-megapixel cameras (both with PDAF), and a classic horizontal two-step shutter release. The XA1 Ultra places a lot of emphasis on its 16-megapixel and 23-megapixel front and back cameras, respectively, with which it aims to dominate the mid-range phone market (with the help of other specs like its 6-inch edge-to-edge 1080p display and up-to-2.3GHz Helio P20 CPU).